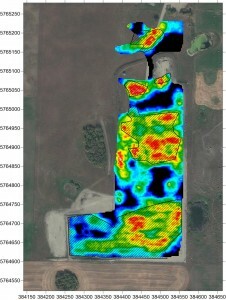 Groundradar and its partner, Initial Exploration (www.initialexploration.com) have conducted a number of site investigations with GPR across Canada. Sites from Victoria, BC to Collingwood, ON have been surveyed to determine the depth to bedrock, thickness of gravels, and locations of historical landfills. Dr. Francke will present a paper entitled “Applications and Limitations of Deep Ground Penetrating Radar to Mineral Exploration” at the 2017 Canadian Exploration Geophysical Society Symposium on March 4, 2017 at the Intercontinental Hotel in Toronto. The paper will discuss the latest applications of deep GPR for mineral exploration, as well as address claims of extreme penetration by so-called “megawatt” GPR systems.